SmartTag™ works with and provides over 450 shelter and rescue groups across the US and CANADA with free ID tags that are included with each pet adoption. SmartTag™ is sold in both Petsmart and Petco at the standard retail price of $9.99. SmartTag™ also makes custom ID tags for all groups that place over 750 pets a year for free! See below for the 3 SmartTag™ Shelter Program options we currently offer. 24/7 Live call center to field and directly connect all calls to reunite pets with their owners. Free replacement ID tags, if they are ever lost or damaged. Free pet and owner profile updates anytime. 6 Hour Guarantee – If your pet is not found within 6 hours, we refund your subscription fee. Instant Lost Pet Posters generated with a click of a button. Your group will be made the permanent secondary contact for every pet you place. SmartTag also offers an Instant Pet “Amber Alert” that notifies shelters and rescue groups with a full lost pet profile within a 50-mile radius of the pet's last known location. SmartTag will provide your group with a free Engraving Machine and free SmartTags. In order to qualify for the engraving machine, your group must place more than 750 pets a year and include a 1-year or lifetime plan with each adoption. SmartTag will provide your group with free pet ID Tags with a LIFETIME subscription to all of our services. (Retail value $50 each). You will be provided with a 2-month supply of SmartTags to get you started. A SmartTag will be given out with each adoption and can also be sold to recovered pets or used at fundraisers. The cost for the adopter is $15.00 for the lifetime plan. Most groups incorporate this fee into their adoption fees. SmartTag will invoice your group for the ID tags at the end of each month based on how many SmartTags have been activated. We will be provided with a registration sheet for each adoption via email or fax, unless you use one of the shelter software’s we are integrated with. SmartTag will provide your group with free pet ID Tags to give away with each adoption with a 1-year plan. (Retail value $20 each). You will be provided with a 2-month supply of SmartTags to get you started. A SmartTag will be given out with each adoption and can also be sold to recovered pets or used at fundraisers. The cost for the adopter is $5.00. Most groups incorporate this fee in their adoption fees. SmartTag will invoice your group for the ID tags at the end of each month based on how many SmartTags have been activated. We will be provided with a registration sheet for each adoption via email or fax, unless you use one of the shelter software’s we are integrated with. If you have any questions about any of our animal welfare programs, please call 212-868-2559 ext 112, or submit inquiry using the form on the right sidebar. The SmartTag does not replace the microchip; it replaces the standard engraved ID tag. Also, we offer all groups collars and leashes at our cost. All of the collars and leashes come in a flexible and comfortable black nylon style. Collars are priced at only $1.25 each and leashes are priced at only $2.00 each. We offer a wide variety of different colors for manufacturing orders that place over 1000 units. Lowest Price - Lowest Price - The SmartTag Microchip offers the best value compared to any other microchip. eAlert Service - Service - Each SmartTag Microchip registration includes lost pet Amber Alerts, If your pet is lost, we instantly send a broadcast alert, with all your pet details, via email, phone and fax* to all the shelter and rescue organizations in a 50-mile radius of the pets last know location. Free Metal ID Tag Included - Free Metal ID Tag Included - Each SmartTag Microchip includes a metal collar tag, something no other microchip includes for free. FREE Replacement Metal ID Tags - FREE Replacement Metal ID Tags - SmartTag also provides free metal replacement ID tags to all SmartTag Microchip customers. Shipping and Handling fee applies. 24/7 Toll Free Live Emergency Support - 24/7 Toll Free Live Emergeny Support - SmartTag operates a 24/7 live call center for any lost/found pet situations or questions. Free Pet Medical Insurance - 30 days of pet insurance – accidents and illnesses covered. Instant Lost Pet Posters - Instant Lost Pet Posters - with one click of the button, print at your location or order color lost pet posters. 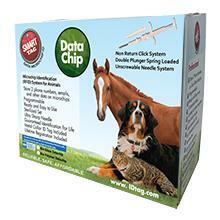 All SmartTags Are Searchable on Google - All microchip numbers can be looked up using a Google search. Compare how our Microchips SmartTag stacks up against the competition. This email will be used for notifications and notices of lost and found pets. Are you also interested in ordering collars and leashes? If so, how many? We have had tremendous luck reuniting lost pets with their owners because of Smart Tag. SmartTag ID Tags and microchips work! Their system is a great help in finding lost pets. Our shelter decided to microchip all dogs at in-take in 2013. Our goal was to track repeat offenders and hold owners responsible. IDTag.com is a rescues best friend. When you adopt a family pet from us every pet is microchipped and tagged. IDTag.com is another brilliant way for shelters to help owners find their lost pets. I want you to know that after NYS decided shelters could not license dogs at the time of adoption, I researched what route to go.